OSU researcher Bobbie Weber says the quality of early childhood care can affect the trajectory of an entire life. 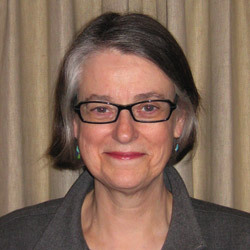 Bobbie Weber: analyst, advisor, member of the OSU Family Policy Program and coordinator of the Oregon Childcare Research Partnership. The latest issue of Terra, OSU’s research magazine, features a story about how a single mother of three finds the best care for her 4-year-old daughter at OSU’s Child Development Laboratory, which is a part of the college’s new Hallie Ford Center for Healthy Children and Families. The Center’s programs are based on ongoing research by Bobbie Weber and others who are looking at everything from teacher compensation and shortages, to child wellness, and the skyrocketing costs of daycare. In 2008 in most parts of Oregon, a year of childcare cost more than a year of public college. Despite this, many fail to use state subsidies, a dilemma that Bobbie studied, leading to legislative changes in filing requirements that had created barriers. Tiffani Bowen has some story time with her daughter Allexis at OSU’s laboratory preschool before she heads off to class.